PI Ceramic manufactures piezoelectric tubes in miniature format. The tubes are suitable for the finest actuator applications and are used for example, in medicine technology. The piezoelectric tubes are available immediately with the new geometries. 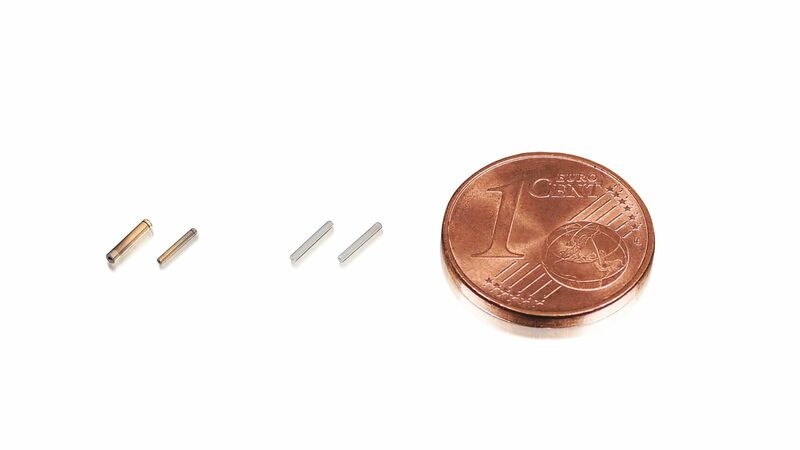 The new variants are available in the following sizes: 0.5 mm outer diameter, 0.2 mm inner diameter, and a length of 4 mm. Further variants are available with 1.5 mm outer diameter, 0.9 mm inner diameter, and a length of 15 mm. Other geometries are available on customer request. Thanks to their design, the piezoelectric tubes are suitable for applications in the field of medicine technology. Here for example, the piezo tubes are used as actuators in fiber optics and endoscopes to improve the image quality. Piezo tubes can be provided with multi-segmented electrodes to influence the oscillation behavior. Wrap-around contacts allow establishment of electrical contacting at a favorable position within the mechanical assembly. It is possible to select either thick or thin film electrodes for contacting. PI Ceramic is a world leader in the field of piezo actuators and sensors. The broad range of expertise in the complex development and manufacturing process of functional ceramic components combined with state-of-the-art production equipment ensures high quality, flexibility and adherence to supply deadlines. Prototypes and series production of custom-engineered piezo components are available after short processing times. PI Ceramic also has the capacity to manufacture medium- to large-sized series in automated production lines. PI Ceramic, a subsidiary of Physik Instrumente (PI) GmbH & Co. KG, is located in Lederhose, Germany.